John specialises in corporate development for technology companies, including strategy, international development, financing & M&A. He has held technical, managerial, marketing, and financial roles, in markets that include power generation, computational physics, defence and aerospace, software engineering, and retail and loyalty solutions. He has chaired both public and private companies. Gareth is an internationally experienced programmer of TV and motion picture special effects, physical simulation, industrial visualisation, image processing and image synthesis. He has a deep understanding of digital camera technologies and specialises in the design and manufacturing of integrated, extremely high quality, real-time, ultra-wide and panoramic 360° Security and Surveillance camera systems. 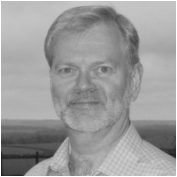 ​Philip is a mechanical engineer by training, with over 25 years’ experience in technology and telecommunications gained in senior sales, operational management, business strategy, compliance and test services, and project management roles. He has worked in the electronics HW/SW design industry for the past 12 years, leading product development projects under highly regulated standards including ISO13485, IEC60601, AS9000 and TS16949.